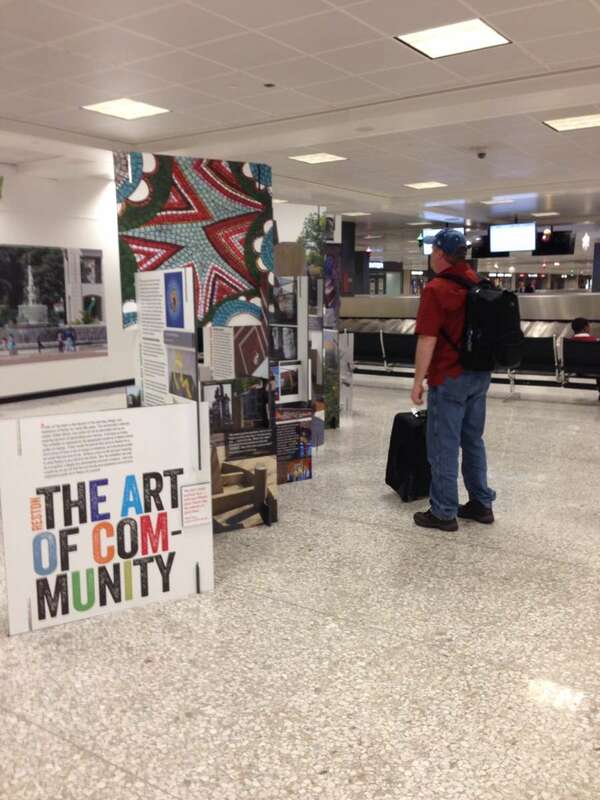 Passengers and visitors to Dulles International Airport are getting a little taste of Reston in the baggage claim area. That’s because Reston Initiative for Public Art Reston (IPAR) has an exhibit between Carousels 9 and 10 that chronicles Reston’s rich public art history. The IPAR information will be in place until May 31. 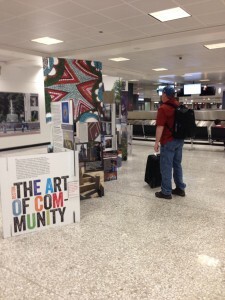 Airport spokeswoman Margaret Bishop says this is the first time Dulles has welcomed this type of freestanding exhibit. 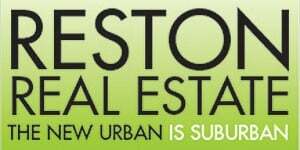 Anne Delaney, IPAR’s executive director, says a spot at the airport is a great chance to promote Reston. 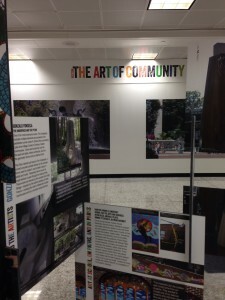 “This is a wonderful opportunity to introduce Reston’s public art and Reston as a cultural destination to visitors who may have heard of the community but have not yet had the chance to visit it,” she says.Award-winning exhibition designer Jeanne Krohn and urban planner and former National Building Museum curator Mary Konsoulis created the overall design and content of the IPAR exhibition. Sean Bahrami, media manager at Reston Association, took the photos used as the exhibit’s backdrop. In addition to the panels, the IPAR exhibition features a video shown on monitors above the baggage belts. The video is a three-minute clip of a longer documentary, “Fun, Beauty, Fantasy: Reston’s Public Art,” made by Peabody-Award winning filmmaker Rebekah Wingert-Jabi, a Reston resident. The video clip’s music, “The Reston Story,” was composed by Brian Scarbrough, also a Reston resident.